The Cordial Golf Plaza Apart hotel sits in the very popular relaxed resort of Golf del Sur, just 500 m from the marina. Golf enthusiasts will be happy to find two world class golf courses close by. The hotel itself offers guests facilities and services giving guests the opportunity to kick back and relax in endless hours of sunshine. The Cordial Golf Plaza Apart hotel uniquely affords holidaymakers the space and flexibility associated with self-catering coupled with the conveniences and facilities of a luxury resort at a very reasonable price. Reina Sofia International Airport (south) is 20 km from the Beach Club. 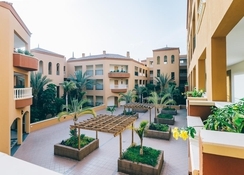 Local Tips: Guests will find that all the major attractions are only a short drive away from the apartments including remote beaches, cultural events, Playa de las Americas and the picturesque Los Cristianos beaches. The resort has an official rating of 4 keys. Food, drink and entertainment: Self catering apartments with options for Bed and Breakfast, Half Board, and Full Board, as well as Half Board Plus and Full Board Plus. 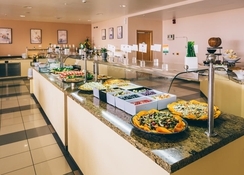 The main buffet restaurant has themed evenings and show cooking. 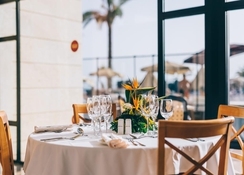 Lighter meals are served throughout the day at the pool snack bar and drinks are enjoyed throughout the day and evening at the lobby bar, piano bar and Pirineos Bar. Sports, games and activities: Large outdoor swimming pool offering views of the sea, the marina and the nearby golf courses, spacious sun terrace with ample sun loungers and parasols, full service Atlanta Spa (local charges will apply for Spa treatments) and wellness center offering treatments and therapies to promote relaxation and well being including massage, physical toning and beauty utilizing the acclimatised Roman style pool, hydro massage beds, multi jet showers, Jacuzzi, sauna, plunge pool, Turkish bath, aromatherapy, reflexology, facial/body treatments, aqua gym, squash, fitness room, cardio training machines. Please note there is charge to allow guests access to the spa & for treatments. For the kids; kids outdoor swimming pool, kids play park, organized kids activities/competitions. 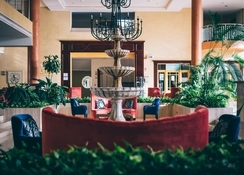 Additional: 24 hour reception, secured underground parking (local charge), golf club lockers, tee off booking service, car hire, excursion desk, tourist information service, currency exchange, safety deposit box (reception), disabled friendly/facilities, laundry facilities, housekeeping, maid service. The Cordial Golf Plaza Apart hotel features well appointed comfortable guest accommodation fully equipped with satellite TV, in room safe, air conditioning, full size cooker, tableware, glass ware, safety box (with charge), utensils, linen, full bathroom and hairdryer. All accommodation enjoys a large furnished balcony/terrace offering fabulous views across the surrounding area. Please note that cleaning is 5 days per week,change of linen is 2 days per week and towels are 3 days per week. Room Only: If you book Room Only, all meals will have to be paid for whether in or out of the hotel. Full Board: Full Board consists of breakfast, lunch and dinner, all buffet/set menu style and are to be taken in the main buffet restaurant at the hotel. Drinks are not included unless specified. 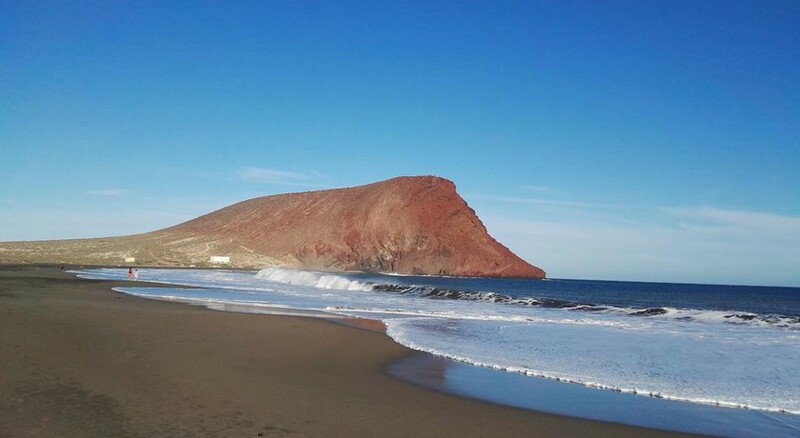 Located in the south of Tenerife, in the municipality of San Miguel de Abona. Ideally situated within a short distance of Tenerife's popular golf courses, Golf del Sur and Amarilla Golf and at only 500 m from the beach with loungers, parasols and water sports to hire. The Marina is also nearby. Restaurants, bars and shops are all within walking distance of the complex. Golf del Sur is approx 16 km from Tenerife South Airport.